SUHPA has been recently re-affiliated, but the society has an impressive history and claim to fame…back to 1961 the society manufactured and flew the world’s first official human powered aircraft! Many members of the society are Engineering or Aerospace students, but anyone with plenty of enthusiasm is welcome to join the team. Euan does point out “it takes commitment, dedication and hard work!”. As you may have guessed, the ultimate aim for the society is to build, test and fly their own human powered aircraft or “bike powered plane”. The team are currently re-building an old aircraft, made from light foam and carbon fibre with clingfilm on the wings. The pilot pedals a bike within the aircaft which generates power and enables it to fly. 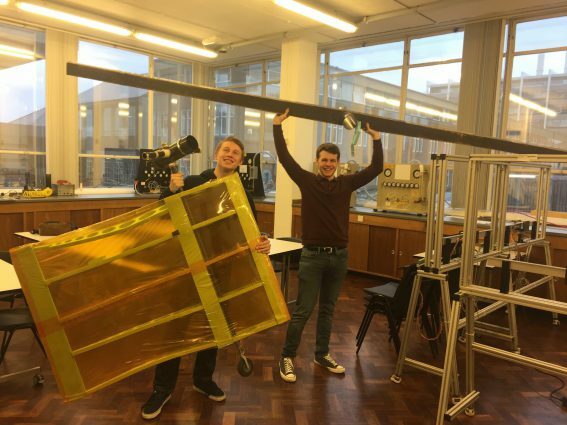 The aircraft currently weighs less than an average person and the aim is to keep it as light as possible. Euan says, “as an Engineering student it’s satisfying to work on something where you can put your studies into practice”. 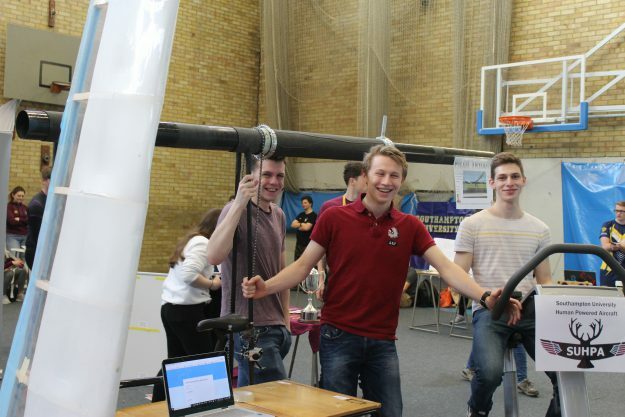 The British Human Powered Flying Club (BHPFC) hold an annual human powered aircraft competition – the Icarus Cup. 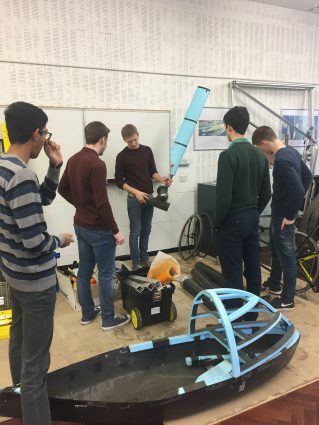 SUHPA are aiming for aircraft ready for then (July 2018) and found the perfect pilot during Refreshers’ Fayre – Euan explains, “Mino just came along, gave it a go and smashed it!” The competition doesn’t only focus on how well the aircraft can fly, but what it can achieve and what the person flying it can achieve. There are rounds for landing accuracy, time trials, slaloms and takeoffs. Alongside building the aircraft, SUHPA are in talks with a Chief Scientist from NASA to deliver a talk to the team. We asked if there was a social side to the society, too? Tatjana said, “yes – lots of house parties, we love a good house party”. Euan and Tatjana both agree anyone who would like to try piloting the aircraft can have a go once it’s built. Until then we will be crossing our fingers for the team at the Icarus Cup in July – good luck! 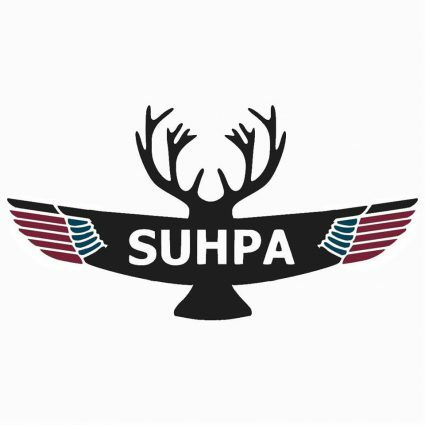 Find out more about SUHPA on their website, Facebook page and on Instagram @suhpa_. Photos: Thank you to SUHPA for use of their photos.